Très bon produit et rapidité d'expédition . Le changement de calibre est très rapide. Great product from dillon. 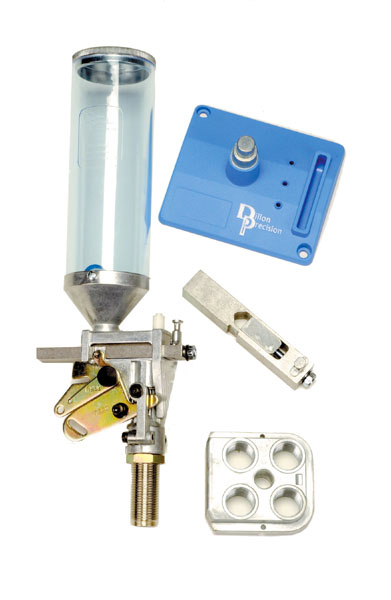 Easy caliber change for Dillon RL-550b. Good Dillon product as usual. I use it with my Dillon RL550B. Great item. This is like a second pair of hands a must buy. I'm nothing but thrilled with my Dillon 550 and the ability to change toolheads without having to reset the dies and powder throw is a real boon. The only thing that is a pain is ordering the parts from Dillon in the USA because the shipping is pricey and slow. I was delighted to find that DAA had this item in stock and I was able to have it in my hands in 3 days for Eur16 delivery. With the pound so strong against the Euro I will be doing this again.